Professor Emeritus Andrew Holmes, President of the Australian Academy of Science, shares some personal experiences as a foundation member of the Bio21 Institute. He will trace progress in collaborations with scientists in Australia and abroad in the areas of organic electronic materials, leading to the development of printed polymer solar cells, and a partnership with members of the Bio21 Institute, the Ludwig Institute and the Walter and Eliza Hall Institute in studies of intracellular signalling. The seminar will consider what lessons have been learned from the experience and where the focus should be in the future. 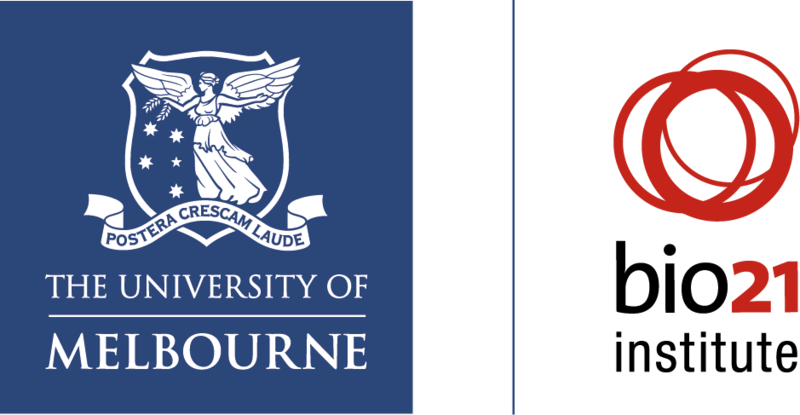 University of Melbourne School of Chemistry, Bio21 Institute (Melbourne Laureate Professor Emeritus, Professor of Chemistry); Imperial College Department of Chemistry (Emeritus Professor and Distinguished Research Fellow). Andrew Holmes was Professor of Organic and Polymer Chemistry and Director of the Melville Laboratory for Polymer Synthesis at the University of Cambridge. In 2004 he was awarded an ARC Federation Fellowship and Inaugural veski Innovation Fellowship at the Bio21 Institute in the University of Melbourne. He was a CSIRO Fellow, a University of Melbourne Laureate Professor, Distinguished Research Fellow at Imperial College and was the Newton Abraham Visiting Professor, University of Oxford in 2011-12. His research interests involve applications of synthesis to materials science and biology. He has made extensive contributions in the area of light emitting and photovoltaic devices. In May, 2000 he was elected FRS. He was elected FAA in March 2006 and FTSE in November 2006. He is President of the Australian Academy of Science. From 2000-2003 he was Chairman of the Editorial Board of Chemical Communications and he has been an Associate Editor of Organic Letters since April 2006.